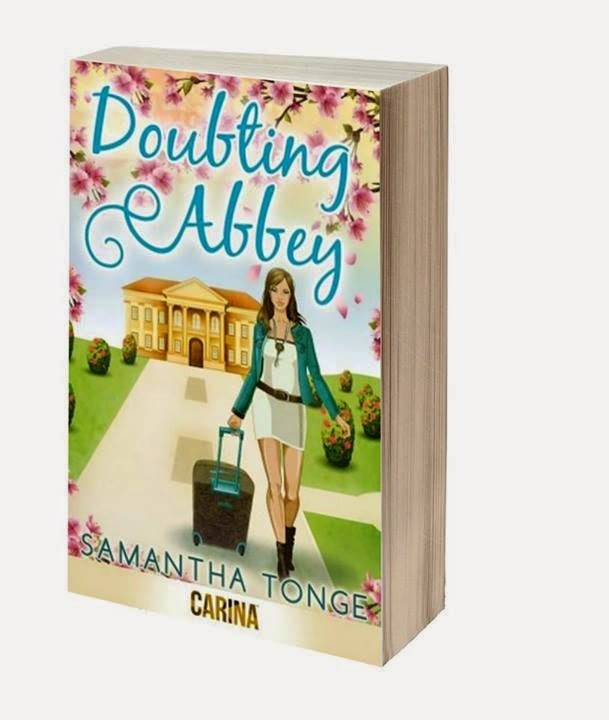 Bestselling Doubting Abbey is a romantic comedy, set in stately Applebridge Hall. Why not check out Scottish cook Kathleen's scrummy recipes, or take a tour of the house? Or you could study Lady C's tips on deportment and etiquette. Perhaps you'll fancy reading the standalone sequel, From Paris with Love. Pizza waitress Gemma is determined to help posh Abbey, her best friend. How? For two weeks she must pass herself off as the aristocrat, in order to win the reality show Million Dollar Mansion, and save the Croxleys' ancestral home. Yet she didn't count on Abbey's arrogant cousin, Lord Edward, complicating her stay. Edward is rude, brooding and stubborn... Yet weighed down by the the burden of saving the family's estate. Is there a fun-loving guy beneath that stand-offish veneer? Or will Gemma turn to down-to-earth gardener Nick for support? Doubting Abbey, from Carina UK (Harlequin), is out now!